How’s your week going so far? 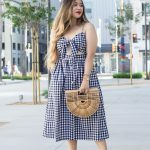 Between school, work, and blogging, I’ve been hustling! If you’re always on the go like me, then you must share my struggle of trying to constantly eat healthy and achieve your weight loss goals. I always make an effort to prep my meals for the whole week on Sunday so that I don’t have to worry about cooking or being tempted to eat out; but, lets be real: sometimes life just gets in the way and the last thing you wanna do on a Sunday night is cook. 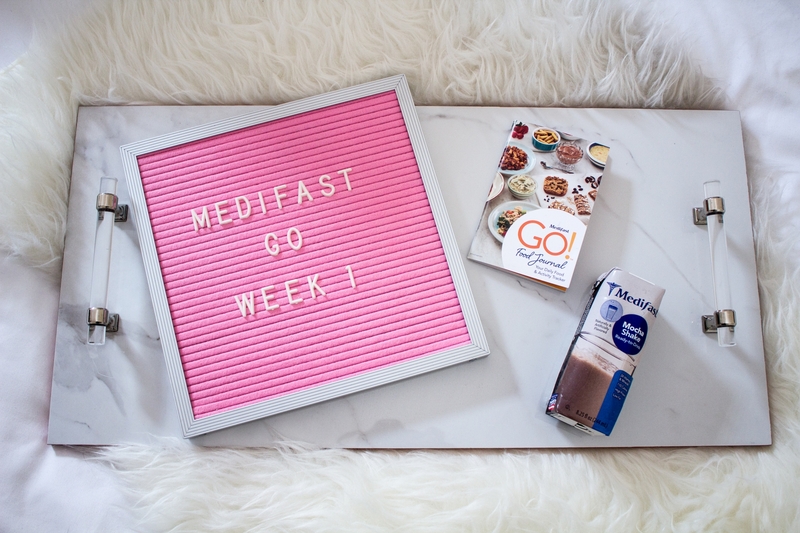 So when I was given the opportunity to try the Medifast Go! weight loss plan, I jumped at the chance! So for the next three months, I’ll be sharing my thoughts, experiences, and results while on the Medifast Go! weight loss plan! 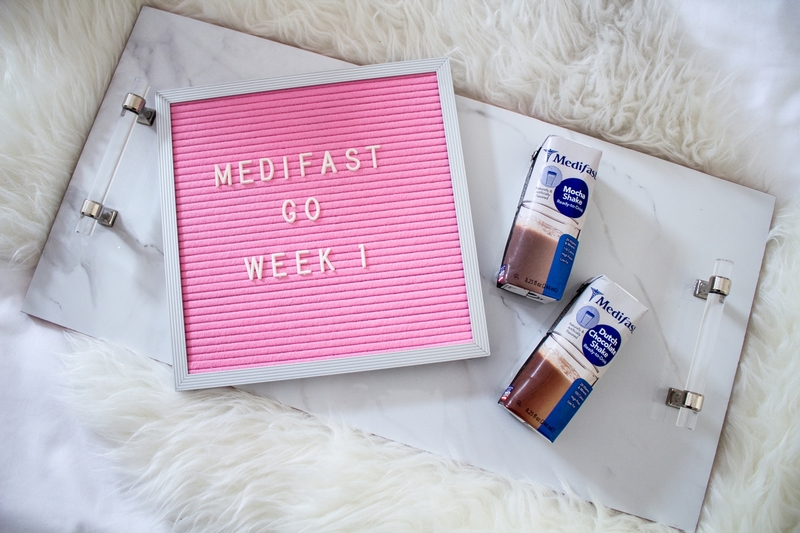 With the Medifast Go! weight loss plan, you eat 6 times a day (every 2 to 3 hours). That’s 5 Medifast Meals and 1 lean and green meal each day. The lean and green meals can either be the Flavors of Home meals from Medifast, or you can prepare your own lean and green meals using fresh foods. 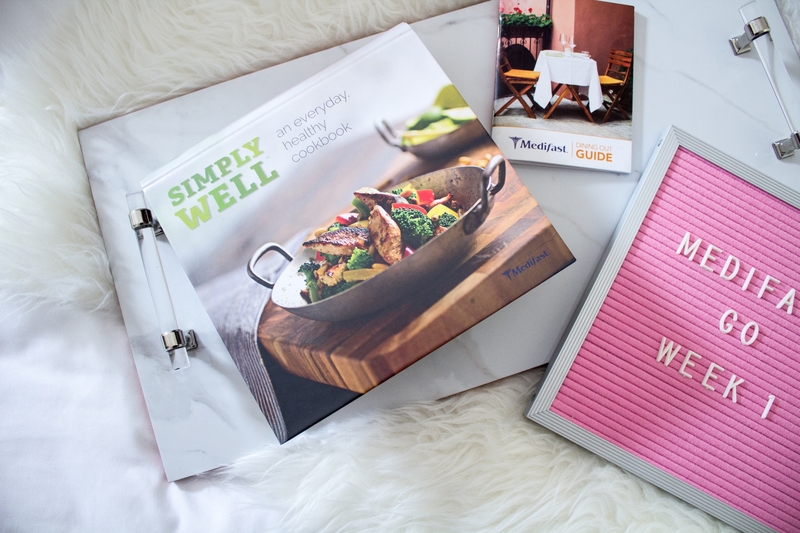 If you would rather prepare your own lean and green meals, Medifast has an everyday, healthy cookbook called Simply Well, which provides delicious, balanced, and healthy recipes that are Registered-Dietitian-Nutritionists-approved for the Medifast Go! weight loss plan. In this cookbook, you’ll find a variety of meals that are broken down into six categories – breakfast, lunch, dinner, snacks, meal makeovers, and resources. 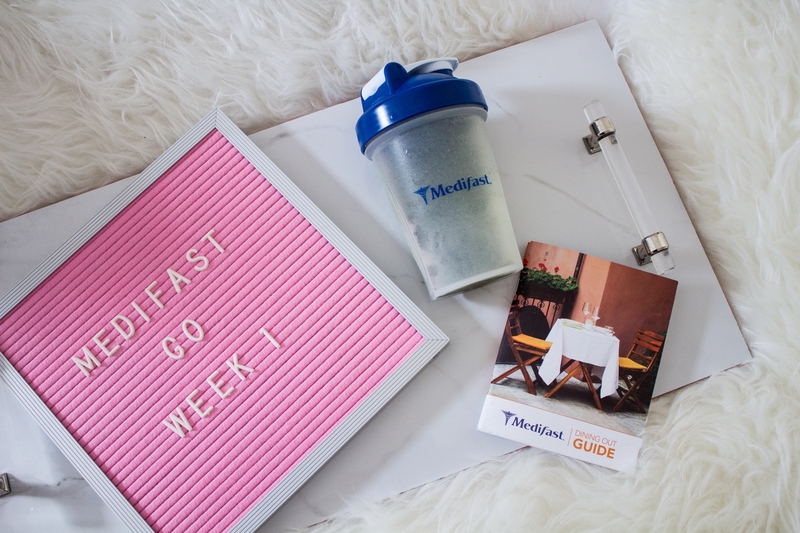 Medifast also provides a Dining Out Guide for those inevitable days when you have to eat out with your friends, family, or co-workers. 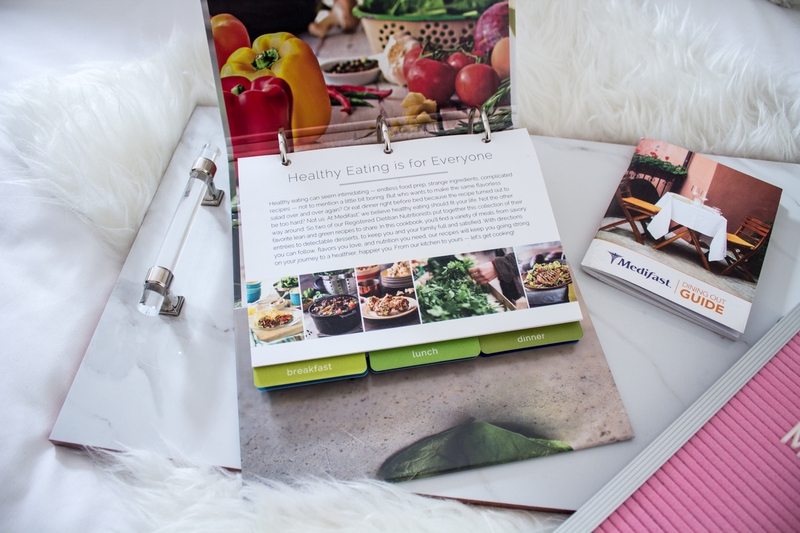 What I love about the Dining Out Guide is that it actually provides healthy meal options from over 90 sit-down and fast-food restaurants – such as Buffalo Wild Wings and California Pizza Kitchen – that actually fits the nutritional profile of lean and green meals. The first thing I did before starting the Medifast Go! weight loss plan was read the Plan Guide. 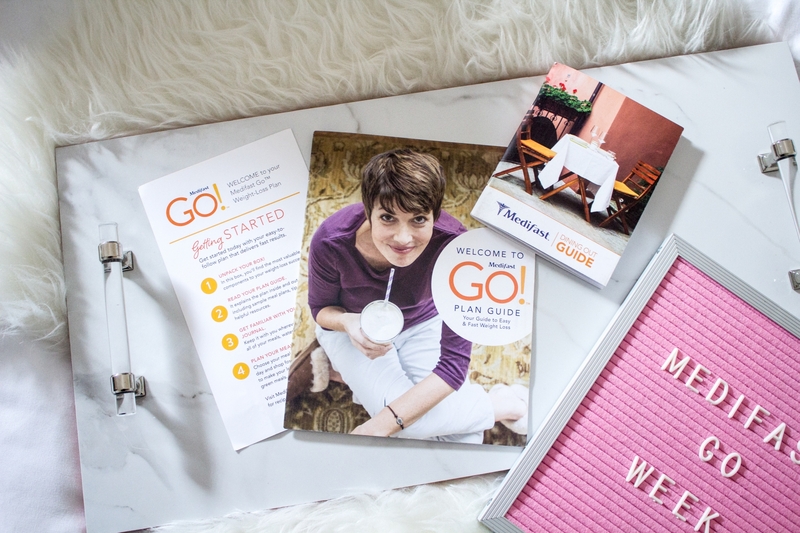 The Plan Guide has everything you need to reach your weight-loss and healthy living goals, including information about your 5 daily Medifast Meals, 1 daily lean & green meal, optional snacks, and healthy fats; exercising while on the plan; and maintaining your weight long-term. 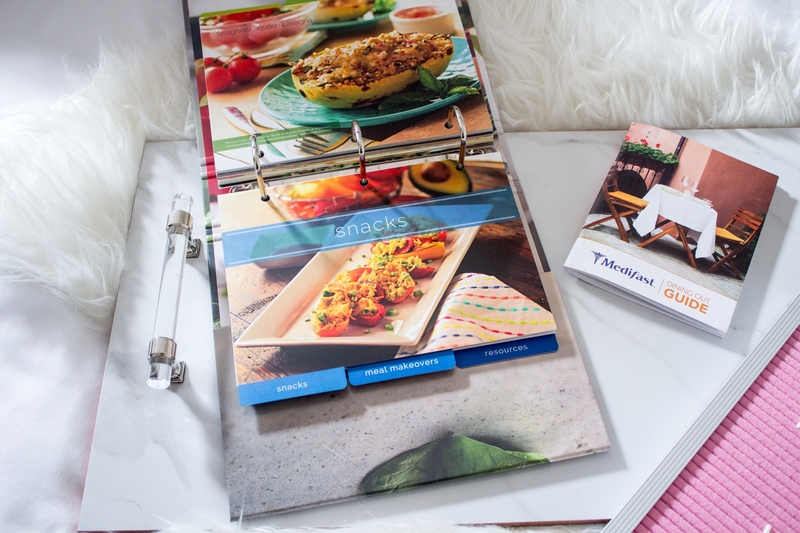 It also contains sample daily meal plans and tips for getting started on the right foot. This Plan Guide is very informative and you’ll know exactly what to expect over the course of your Medifast Go! weight loss plan. 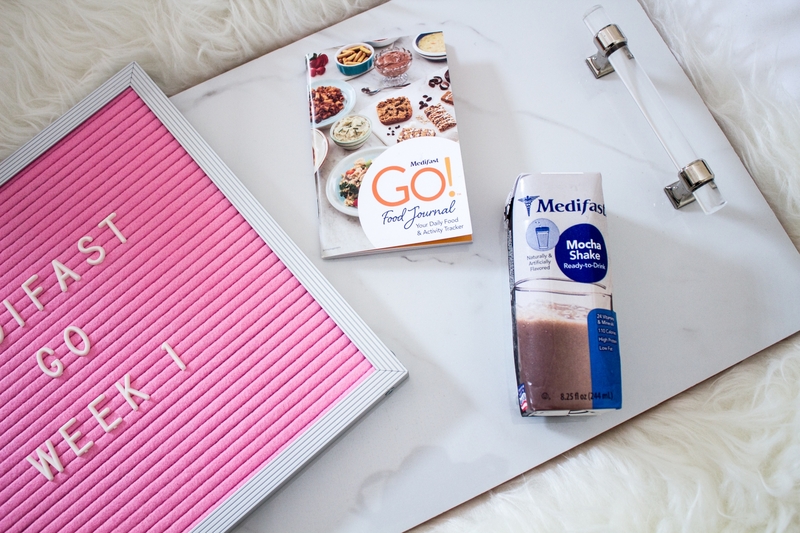 Medifast also provides a Food Journal to keep you organized and on track with your meals throughout the day. The compact size allows you to bring it with you everywhere to conveniently keep track of everything from your weight and measurements to the meals you eat and how much water you drink. I absolutely love how the Food Journal allows me to track my progress throughout the day, which can be very motivating!